''Earlier this year we decided to try selling our house ''privately''. Helen Tracy, of Your Sold Real Estate saw our advertisement and contacted us by phone. John and I decided to meet with Helen to discuss the house . Helen is a very pleasant young lady who talked who talked of their method of selling property. We considered what was discussed and decided to go with Helen and her team. 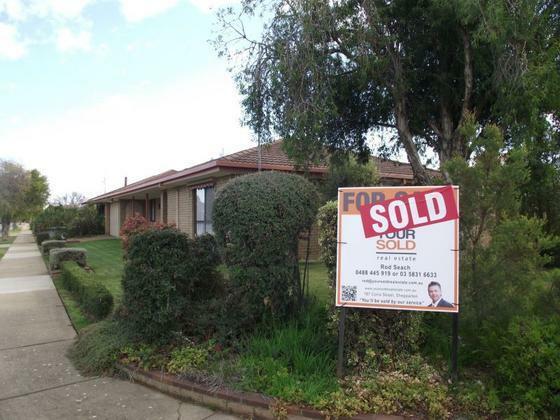 Our house was advertised, Rod Seach had an open house with our house the day after the ad, and the house was ''Under Offer'' the next day, within 8 days with Helen, Rod and ''Your Sold'' our house was SOLD. We were very surprised but very pleased with this outcome. Helen, and her team, were a pleasure to deal with and we congratulate them all for the way they handled the sale of our property.Well done Helen, and the team.